Session ale for the summer. Sebago Brewing's Blazing Summer is only available at the Destination Brewery. Don’t be fooled by the dark, practically opaque, color. This is a light, refreshing session ale that’s perfect for a hot summer day! 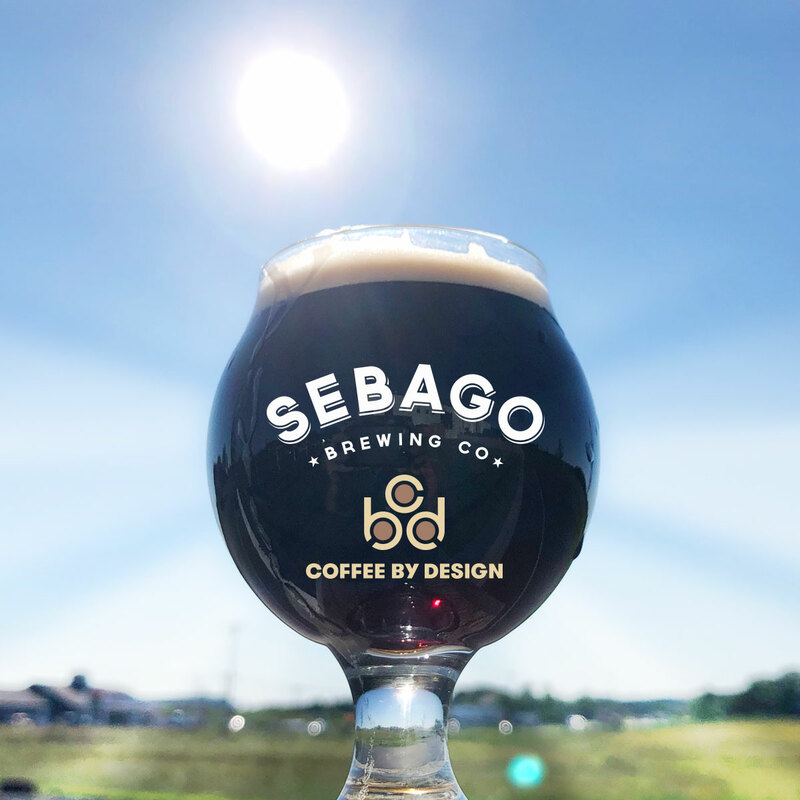 To create Blazing Summer, Sebago partnered with our long-time friends at Coffee By Design, likely the first of more collaborations to come. Brewers Kevin Depot and Molly Wolkin met with CBD Roastery Manager Dylan Hardman and Production Roaster Travis Spear to try a variety of coffees to find one that had just the right flavor profile. “They came in with a very clear idea of what they were trying to accomplish, so it was an easy process for us,” said Dylan. Blazing Summer is available for a limited time (hence the name) and is only on nitro tap at the brewery.